I get emails from Shelby enthusiasts nearly everyday. Many people are amazed to find a website totally dedicated to 1968 Shelbys. They are also amazed at the interesting stories and original research on the website. Nearly 40 years after production stopped, new materials are turning up all the time. I am always doing "research". Sometime ago, I started looking for maroon 1968 Shelbys. I was quite certain that I had seen one before. I actually found one car, a maroon fastback. But, when the owner failed to respond to my inquiry, the project was shelved and I concentrated on looking for some of the more common colors. I received an email from William. William told me he had a GT500KR convertible. It had been his family for a long time. William is member of the Army National Guard and for the last several years he really hasn't been thinking about old cars too much. A true hero, William is one of the guys who takes care of all the explosives left after a battle. Can you name any other army in the world that cleans up after itself? It takes a special person to be involved in explosive ordinance disposal. I talked to William on the phone for an hour. We shared "war stories" and talked about cars. Turns out we were in the same areas of the desert. I was even more surprised at the pictures he emailed me. The car was maroon and there was no doubt, it was the original color. As I often do, I urged William to start his documentation process. I told him about the services of Kevin Marti. I even went so far as to contact Kevin myself. Kevin related, "the car is certainly different. It is the only maroon convertible Shelby built in 1968!" 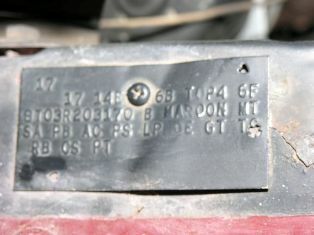 The build tag shows "MAROON MT" (Maroon Metallic) as the color. You may also notice the "LP" code. Extremely rare, it denotes the factory door speaker installation. The Marti Report indicates a factory AM/FM radio. This was confirmed when the build sheet was removed from the car. William's car is a bon-a-fide one of one. The saddle interior and air conditioning make the GT500KR one of the more unique cars ever built for Shelby production. Best of all, this car has a California/Arizona history. It is the KING OF KINGS ! The only convertible that is truly "Royal" (Royal Maroon Metallic). I had the opportunity to personally examine this car and found it to be very original. 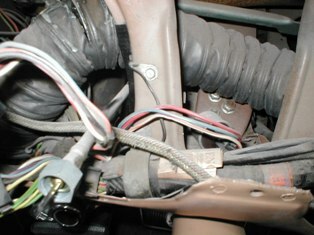 All the tags are authentic and appear to be original to the chassis. The chassis is exceptionally clean and the drive train is all original. I personally removed the build sheet and found all codes to match the current configuration of the automobile. If only they were all like this. I have been able to document a second maroon Shelby. I recently found the build sheet for # 3469. That car is (was?) 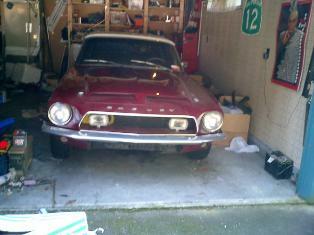 a GT500KR, fastback, 4spd, with factory Air Conditioning.